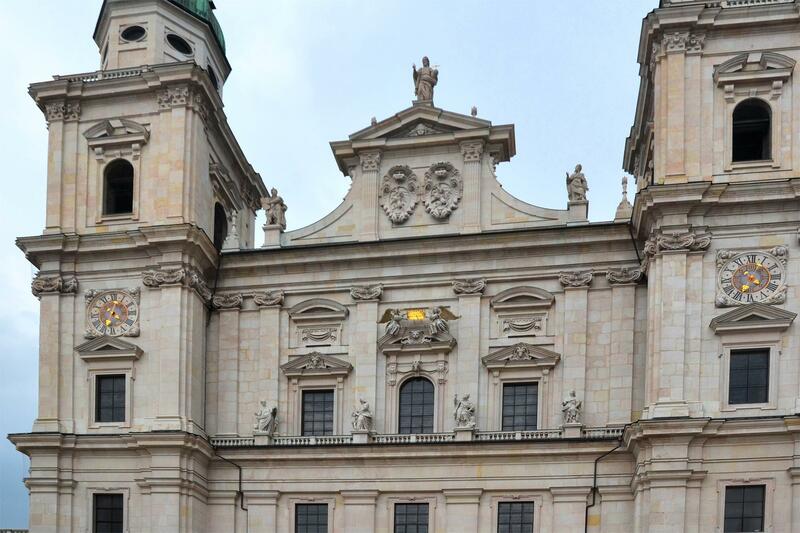 Vincenzo Scamozzi, architect of Salzburg Cathedral created a beautiful and magnificent building in baroque style. Its facade is 45 meters wide and it is built of marble. There are two symmetrical towers 81 meters high on each side.